Alla received her undergraduate degree in Sociology from Hunter College in 2011 and earned her Juris Doctorate in 2014 from Thomas M. Cooley Law School. While in law school, she began her path of representing the interests of individuals by interning at the Sixty Plus Elderlaw Clinic. During that time she represented senior citizens in protective hearings including guardianships and drafted wills and trusts for small estates. After graduating law school, Alla continued to advocate and represent individuals in plaintiff's personal injury matters. Since 2015, she has concentrated her practice on Workers' Compensation law. 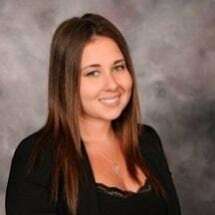 Alla is passionate about going the extra mile to advocate for her clients so as to ensure the proper delivery of benefits to the injured and ill. She is currently a member of the American Bar Association, New York Bar Association and the New York City Bar Association, and is fluent in Russian.